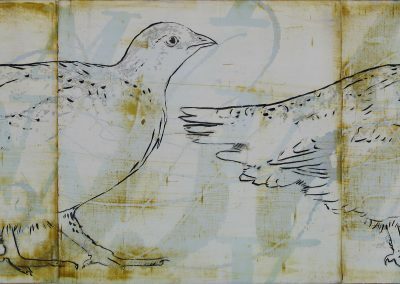 Specimens. 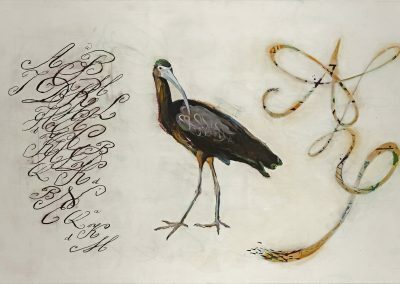 In this series, my interest in the evolution of written language—encompassing hieroglyphics, rebus riddles, and phonograms—led me to incorporate common Western birds into otherwise abstract works. 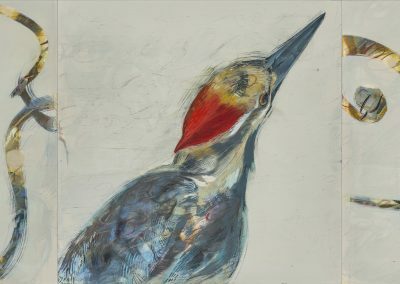 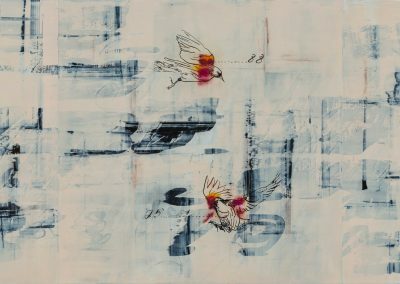 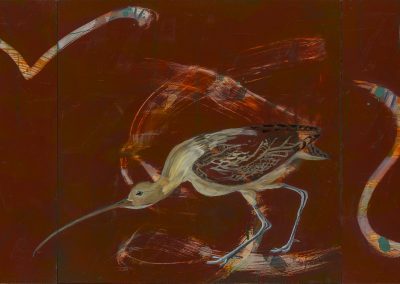 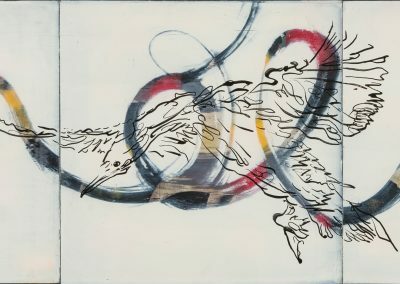 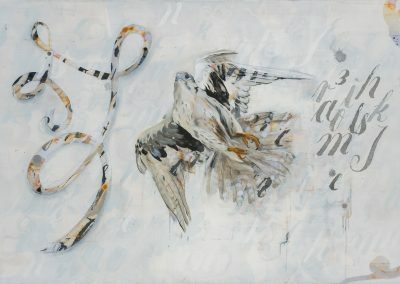 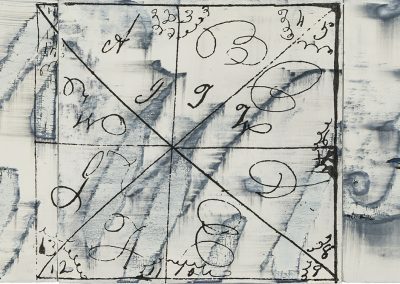 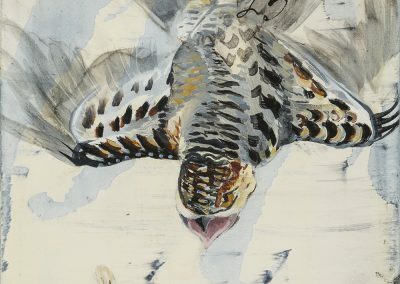 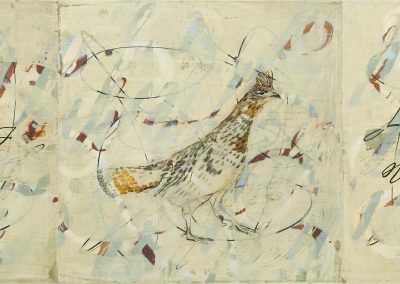 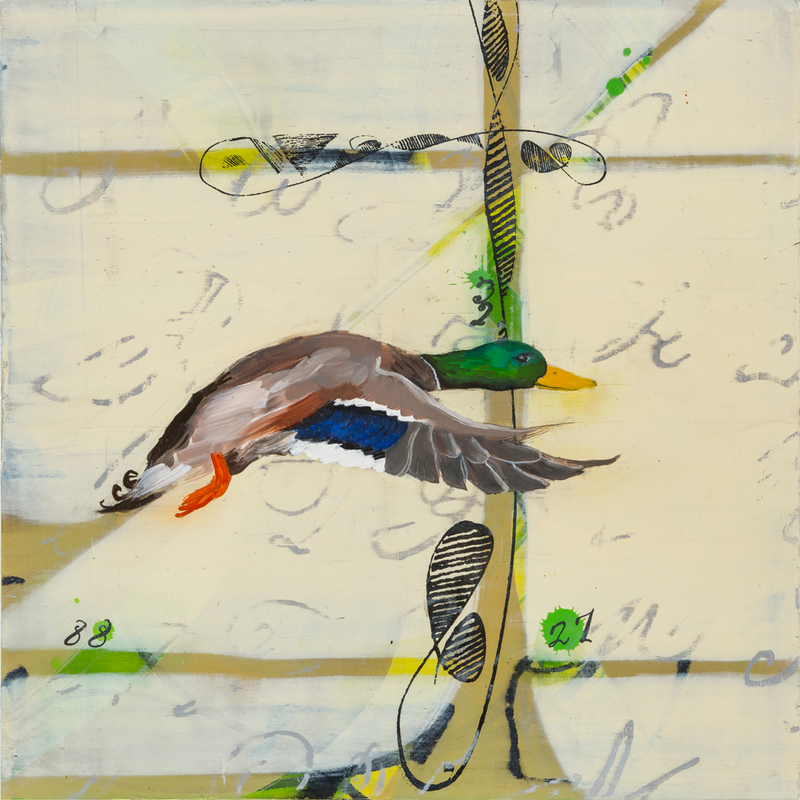 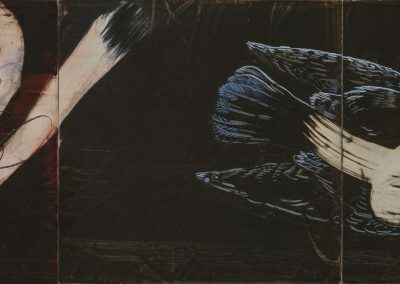 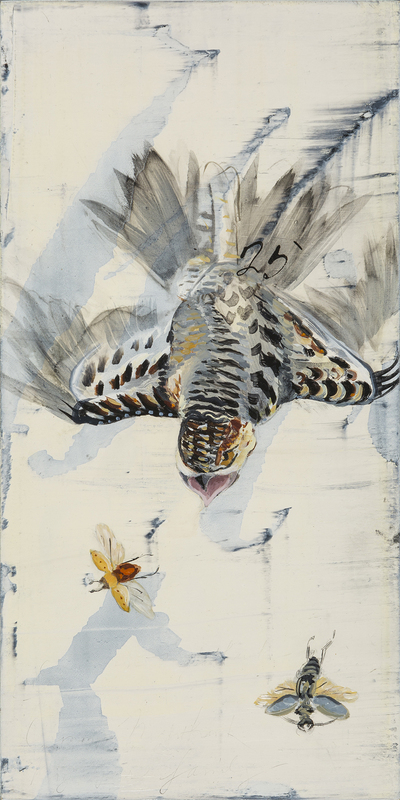 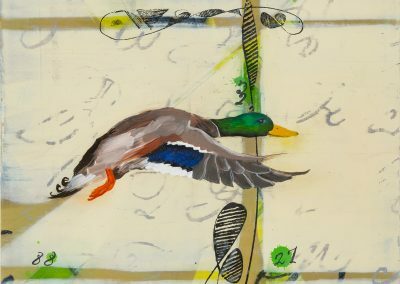 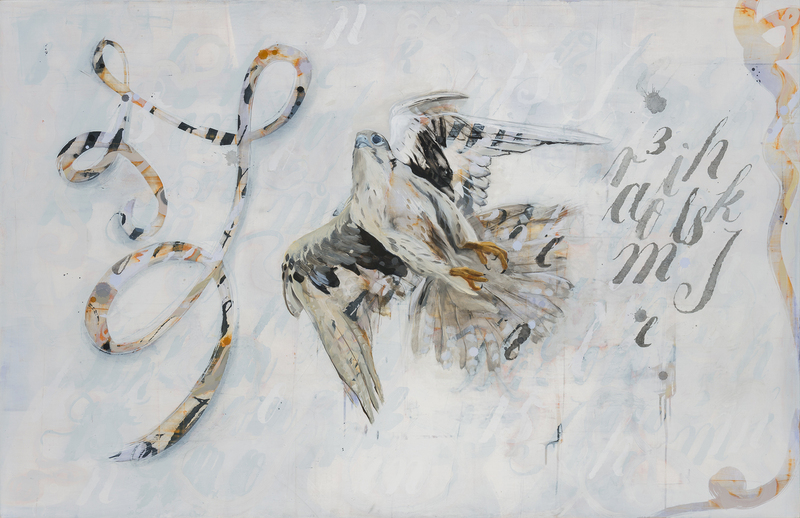 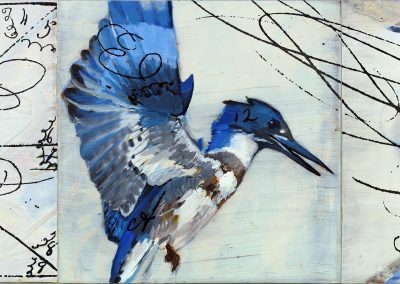 The paintings seek some sort of equivalence between letterforms, various species of birds, and pure gesture.